"My marssa, he war de meanest man on all de Easte’n sho’, and dat’s a heap to say. It’s a rough place. Dat yer Easte’n sho’m de outbeatinest part ob all de countryfur dem doin’s. Dey don’t think so much ob deir niggers as dey do ob deir dogs. D’ rather whip one dan eat any day." One day, after his master arbitrarily shot at him, Henry escaped into the woods where he lived off the land for three weeks, trying to avoid the search parties that went looking for him. After stealing a canoe, he sailed across the bay and arrived the next morning at Fortress Monroe. 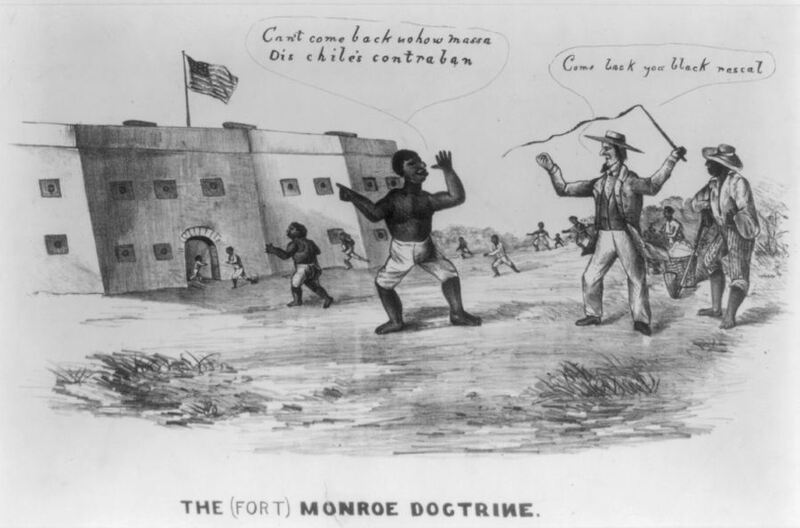 While most of the recently escaped slaves that were flocking to Union lines were content to celebrate their tentative freedom and adopt a "wait-and-see" attitude, Jarvis had something altogether different on his mind and he promptly sought an audience with Gen. Benjamin F. Butler – the future "Beast of New Orleans." In Jarvis’s words, "I went to [Butler] an’ asked him to let me enlist, but he said it warn’t a black man’s war. I tol’ him it would be a black man’s war ‘fore dey got fru." After that remarkable encounter, Jarvis left the US, traveling first to Cuba and thence to Liberia, where he said he "looked about, but I ‘cluded I’d rudder come home." 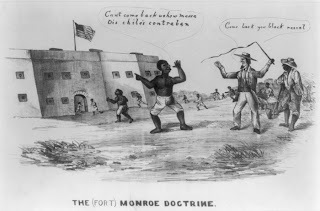 After two years abroad, Jarvis entered the US at Boston harbor in May of 1863 only to discover that Lincoln had proclaimed emancipation and "it had got to be a black man’s war fo suah." 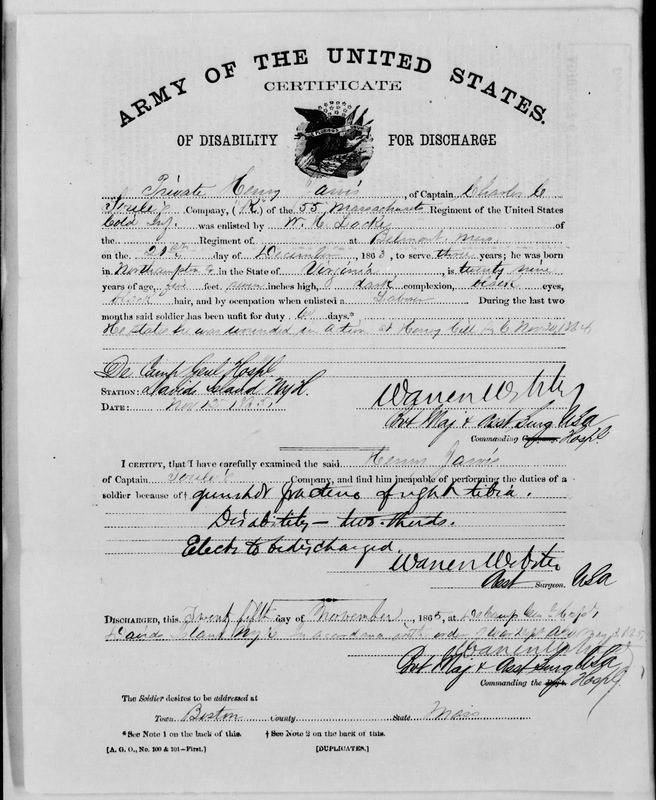 Jarvis attempted to enlist in the famed 54th Massachusetts, but found that the regiment’s ranks had been filled. 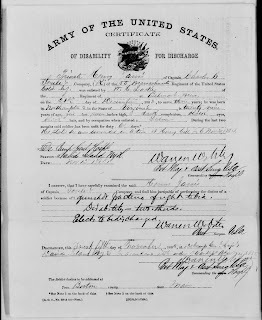 However, the surplus of men who had attempted to join the 54th was used as the nucleus of a brand-new regiment – the 55th Massachusetts. The 55th would fight at places such as Olustee in Florida, and on November 30, 1864, a desperate clash at Honey Hill, SC. "Dere I war wounded free times; fust in dis arm, but I kep’ on fightin’ till a ball struck my leg an’ I fell. I war struck once more in de same leg, an’ I lay on de fiel’ all night. I should have bled to death ef all our men hadn’t been drilled in usin’ a tourniquet, an’ supplied wid bandages. I jes had time to stick my knife in de knot an’ twist it tight ‘fore I fainted." Jarvis was deemed to be two-thirds disabled and was given a medical discharge. After returning to Hampton, "de woun’ opened agin’, an’ I had to lose my leg arter all." After the war, Jarvis returned to the Hampton area and was settled down with his wife and two children. He also came to faith in Christ when his fighting days were over. Following this conversion experience, he was asked if he had forgiven his former master. After a momentary struggle, Jarvis shot up straight as a ramrod in his chair and said, “"es, sah! I’se forgub him; de Lord knows I’se forgub him!" His change of heart proclaimed, Jarvis couldn’t help but add – "But I’d gib my oder leg to meet him in battle!" Henry Jarvis is mentioned in the new book on Lincoln and how his emancipation ideas were shaped by his times. Excellent book "Fiery Trial"